I’ve been quiet for awhile, and the reason is pretty simple - not a lot of woodgas happening for me these days. I decided a couple years back to re-focus my energy on a different goal, getting a homestead set up and running. (I’m also working on the “get married and have kids” part… nothing to report yet.) Initial requirements are largely … a pile of cash. So, I worked a good paying job on the road for a couple years, installing grocery store fixtures. Now I’m back in town, working another decent job at one of my favorite businesses, Earth Tools (walk behind tractors, sales and service). The cash is ready, and I’ve been watching the market for about a year now. Since it appears I may have finally found some land, I want to go back (briefly) and share the process so far. I decided up front I wanted to live near my family, we are currently situated in Frankfort KY. North of here is a large area of empty rural land. In fact, on a map you can draw a triangle between Louisville, Lexington, and Cincinnati. The land in between is very rural, with good rainfall and a nice growing season, also plenty of trees and hills but also flat areas. The Kentucky River runs right up the middle of this section, and several large creeks feed into it. Land around here goes for anywhere from 2-10K per acre, depending on the size and usability. Generally larger parcels are cheaper per acre, and smaller ones are likely to have a house already. The ideal (for me) range of 20-50 acres is oddly lacking. Lately I’ve been looking at the larger end of that scale, as much as 100 acres. More than that is cost prohibitive. My research tools are as follows. #1. Zillow. This is my “inbox” so to speak. I check all new properties on Zillow that fall in my criteria. I like it because their map interface is very easy to use, and you can save properties. There are limitations, and their data is not always accurate. But they will turn up every normal MLS listing out there, in one central spot, where you can sort by price, size, etc. How far of a drive is it to Earth Tools (my job)? How far of a drive is it to Frankfort? Can I determine the boundaries (more on that below)? Is there running water, creek, river etc? How steep is it, are there flat areas? Is it possibly a floodplain? I can tell all of this from Google Maps and Google Earth. It’s creepy when it’s your own house, but incredibly useful for investigating land. “Let your fingers do the walking”… on steroids. And it’s free. I measure land using this “one weird trick” I learned. Right click anywhere on Google Maps, and choose “Measure distance”. Then start clicking. It will place a pin anywhere you click, and if you select a whole area, it will tell you the land area you’ve selected, in square feet. Convert that to acres, and then adjust the boundaries until it matches the listing. Usually following fence lines is a safe bet, but it can get tricky. Still, it’s a good idea of how big a place is. Plus you can measure individual fields, flat areas, valleys, whatever you like; without needing a separate survey done. #3. AcreValue. This is a recent addition to the toolbox, but a very useful one. I use it to find property boundaries, current owners, etc, as well as soil types! Also free. #4 FEMA floodmaps. If the property is near water, I will check this to see if any of the land is 1% floodplain, and therefore needs flood insurance to build. This has a large bearing on the current property, which is mostly floodplain. I still think it’s workable, as I shall explain. #5 Drive-by video. If a property gets this far along, I’ll swing by after work and film it from the road. This gives a better visual than I can get from Google Earth, plus a sense of scale, and some info on the road conditions getting in and out of it. Some eagle-eyed folks might have seen a property drive by or two on my channel briefly. If I’m still interested after all this, I contact a realtor, friend of a friend and a naturalist, she’s very good with rural land. 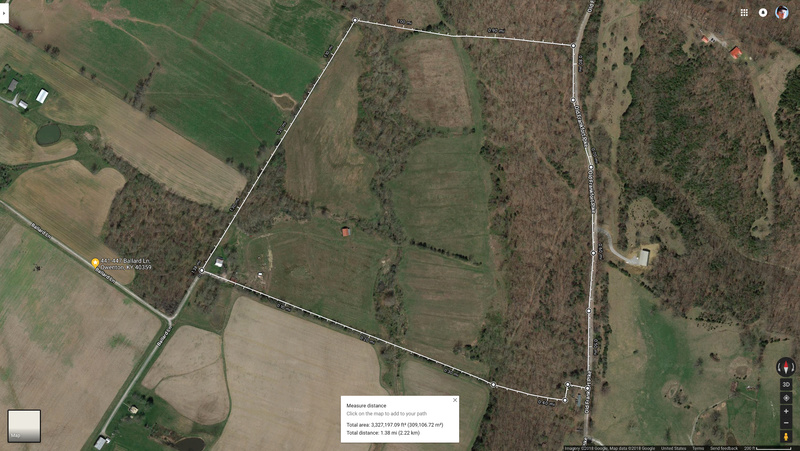 80 acres, $250K. 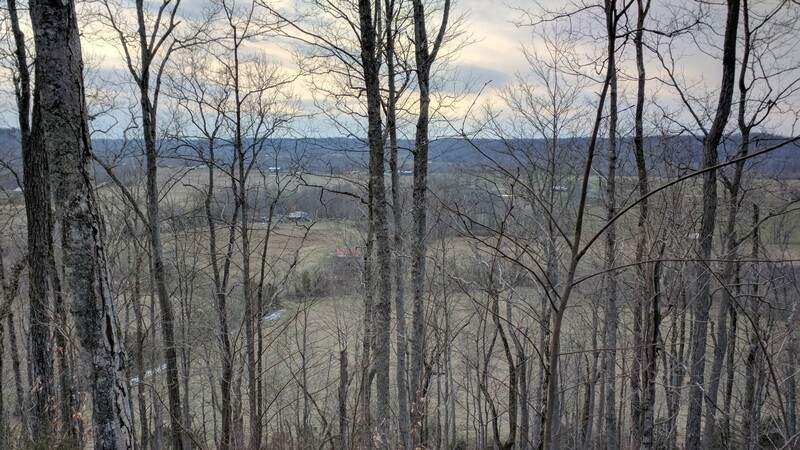 House, barn, 60 acres in bottomland and 20 in wooded hillside. 10 minutes from work, 25 from Frankfort. Down the street from two of my co-workers. About a mile from the Kentucky River, has two creeks on the property. 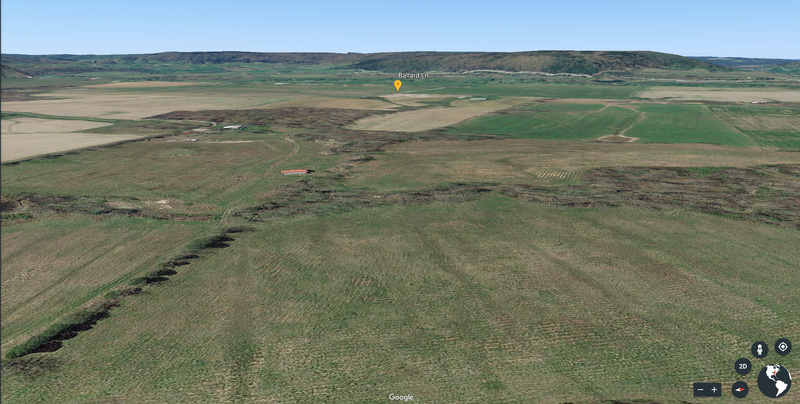 The bottom is entirely in the floodplain, but the hill behind it is not. I can build at the base of that hill and stay elevated enough. Did a walkaround last night with the realtor. The fields are pretty wet. Drainage will definitely need to be improved. However, water management has been a hobby of mine for years, and I know exactly how to fix it. The reward is incredibly fertile bottom land. I don’t intend to crop it, probably most will be rotational grazing or hay, possibly some small grain production, and the rest returned to woods in a controlled manner. It’s certainly bigger than my immediate needs, but there will be room for the rest of my siblings to build and share it if they so choose. This will be a family venture, I’m not doing this entirely on my own, but I am taking the lead on it. Here’s a 10 minute video walking up a logging road at the back of the property. Definitely a hike, but you can see a lot of the land from above, and the view at the top is awesome. Good hunting Chris. Homesteading partners are a hard find. You have spent a good number of years gaining the right homesteading skills it will be fun watching you set free to build. $2000 per acre is what they want per acre of wood lot here. Flat open land 3 times that. I wish you luck. When it comes to homesteading, the right land is imprtant, but by far not nearly as important as the right wife. They tend to cost a lot more tha the land. Good luck Chris for your research, it is true that when you are young, you have to think about your old age. I wish you luck Chris. Start with woodgasing a truck. It’ll do a lot of work for you during house building. Later you may feel you haven’t got the time. Homesteading partners are a hard find. I have a (surprisingly similar) methodical approach to that as well. A far more difficult search. Oh, it’s coming back around, don’t worry. I got Henry’s old truck specifically for a farm workhorse. Current status, needs transmission re-installed and front end rebuilt. I’ll be on that pretty soon, now that it’s warming up. I just found a 5 gallon bucket of motivation… good stuff. Good luck with your venture, I was where you are 40 years ago, but my property had no buildings. If I can give one piece of advice, if your going to build more, make your next purchase a sawmill, you’ll never have to buy lumber the rest of your life. That’s one of the things I would have done differently, built my first one to many years late. Wise to pursue both endeavors concurenty - live-on land; and a life-partner. One may very well lead to the other. On the gal-folk - best to use “I see You working, actual Doing for others” approach though. That is real and cannot be faked or love-blinded. Ha! And let HER then have house/home design priority. Pick the right gal and she will (mostly) be sensible about it. And let HER then have house/home design priority. 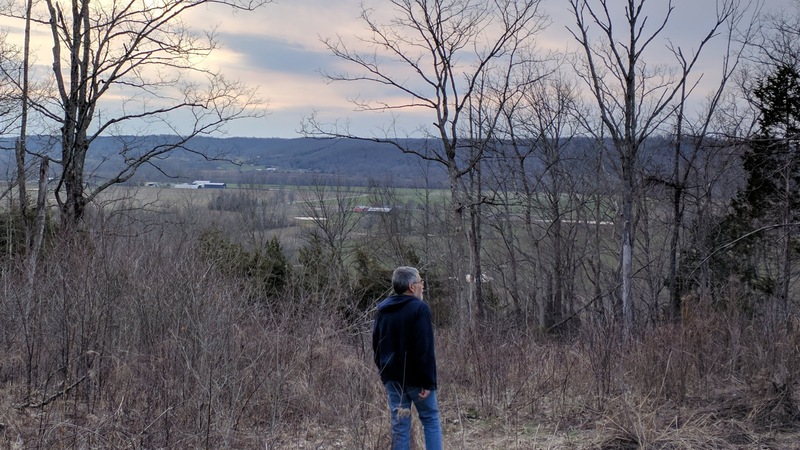 We bought some farmland in 1982, and my wife picked out the site for the house on top of a hill. Then she built a gigantic cardboard/foamboard 3D model so she could put it out in the sun for optimum solar positioning. She laid out and built the trusses (on the patio of our city house) for the gambrel roof for a concrete block bunkhouse that we build before starting the new house, so we would have a place to sleep while we worked on our country house on weekends and vacations. She and I spent the first year working on the foundation. She learned to run the backhoe and was even able to use it to bury a momma cow that died trying to deliver a monster calf. She hauled marble from a quarry so we could have marble window sills. She installed the Anderson windows, finished and stained the hardwood cupboards in the kitchen and bathrooms. There are 3700 “S” shaped red concrete tiles (about ten pounds each) on the roof that she installed. (Her target was 100 tiles per day.) I could go on and on… but my favorite Aunt once told me, “She’s a Keeper”. So, I’ve kept her around for 52 years, so far. Thanks for this great update. I grew up in southern Indiana so I’m familiar with the climate in your search area. As a pastor, I have counseled and married around 50 couples. FWIW, I recommend online searching using sites with good filters, like e-harmony. I suggest keeping the filters tight and being patient in order to make a good match. Personality and values compatibility is not foolproof, but it can sure make things a lot smoother, especially in the early days of married life. Sounds like good progress is being made. Watch that flood plain, we seem to be in a peak of a 100 yr cycle. Talk to the owners or neighbors to get an idea how often and how deep it gets. Good luck and happy searching. I like your search ideas , Only the way i see it is if i caint pay cash it aint worth the debt slaveing years too own it just before i am too old too use it, and no garrentee what the economy can change in verry less time than before i could pay off. JUST THE WAY I SEE THINGS.Good luck and lord be with your decision land perchase, and lady friend wife.I would like too own at leiste 40 accres but probbly settle for 10 if its far enough out in the country on main road. Ok my turn. The girls have informed me we can never move because Mommy helped build the house. Every room size layout paint colour was chosen by Heather. Let alone every garden bed and plant variety. I am not sure ware the verse in bible is. Though it says lay not up treasures here on earth ware rust and moth or moss corrupt. I do appreciate you guys looking out for me. I’ll keep you posted. I am sure you have looked at a lot of properties before this one. By you posting this, does it mean you are in the process of purchasing it? It’s a nice parcel with a lot of wood gas and home heating fuel. I wish I had done this at your age. By you posting this, does it mean you are in the process of purchasing it? Making an offer, yes. Doesn’t seem to be any other interested parties so far. You think there’s a lot of trees now… wait til I get through with it. Well, that just means the “dating advice” is that much more important than the land. Kevin I think that verse is in MT 5 or 6 Sermon on the Mount if I remember right. I really appreciate the thought about avoiding debt. We took a few years to scrounge materials etc to build our place, but we never had to borrow money. I consider that to be one of the most liberating circumstances in my entire life. I have been free of the “have to go out to work” thing for most of my life. I think it removes a huge deal of stress from a marriage too. In my experience, it’s hard to raise a family and really be a father, and be off at work away from your family for 8-10 hours a day. I know people have to do it to make their world turn, but if you can build something different into your lifestyle, I strongly recommend it. Work with your family, eat 19+ meals a week with them, throw out the tv, homeschool. That’s my vote. Seems to be working for us, praise the Lord. I don’t know what kind of homestading you want to do, but it doesn’t take much room at all to grow all your own food and “live off the land”. Animals obviously take more room, but not as much as you’d think. Goats are great for milk with young children. Dexter cows are good for a little milk/meat cow on small acreage. I’d much rather see a guy buy a little less land and stay out of debt than go into debt buying more ground than he can possibly work anyway. I have only ten acres. I use almost three. The rest of it just grows trees. Mostly because I’ve never needed more ground to work. Even with almost grown boys, a couple acres of produce will keep a family as busy as they want to be. I know a lot of guys want a woodlot too. I don’t really need one here, so I guess that depends on how much free wood you have lying around KY. I for one am excited for you. You are a doer, not a talker. I can’t wait to see what your plans are. Having family there sharing dreams and work makes it more enjoyable. I too am in favor of a sawmill. I wish the weather was more favorable for me to use mine. What kind of trees are currently on the property? How many acres do you think the mature trees take up? I was really surprised to to see your “logging road” was paved.